Technical due diligence in a merger or acquisition is often fraught with insufficient information. While objective measures are often available for financial information, little has traditionally been available to evaluate a company’s application landscape. 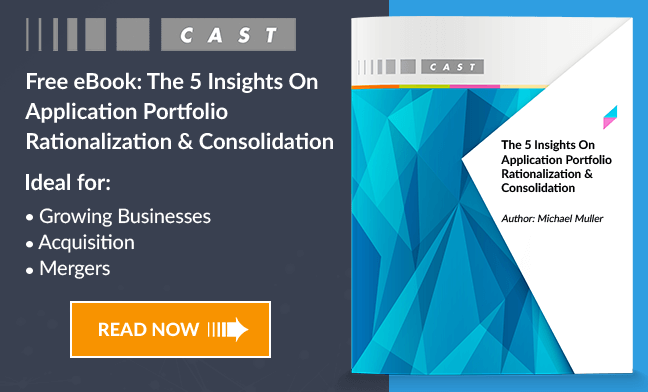 For an application portfolio, CAST Highlight gives you fast insight into a target company’s applications, delivering real data on risk, complexity, and cost. For a deep dive into critical software assets, i.e a software product, eCommerce platform, etc, CAST Application Intelligence Platform (AIP) provides a detailed analysis that identifies all of the hidden defects that can impact performance, resiliency, security, maintainability, and transferability of this key software asset.